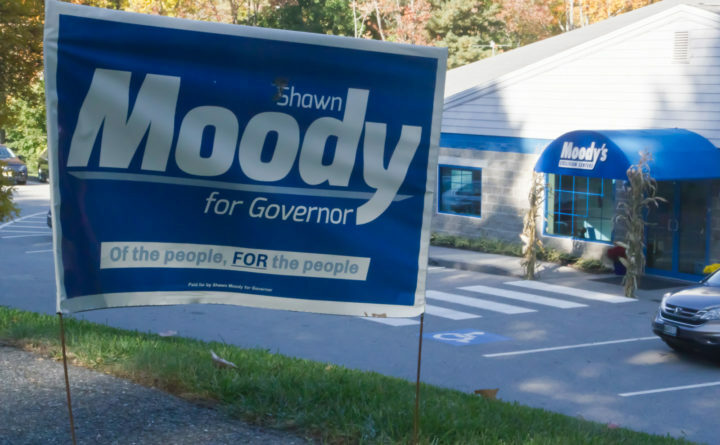 A campaign sign for Republican gubernatorial candidate Shawn Moody stands outside of his auto repair businesses' Portland location, on Presumpscot Street. Moody has said he does not plan to sell off interests in the company, which has 11 locations, if elected governor. 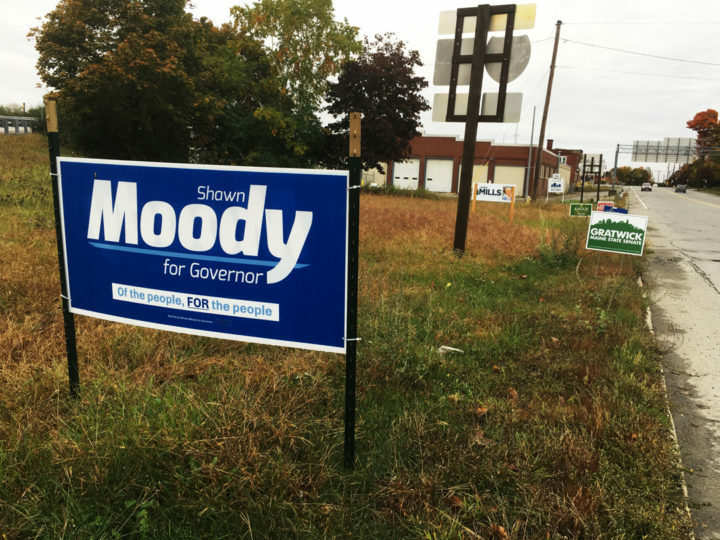 Republican gubernatorial hopeful Shawn Moody keeps an eye on the governor’s mansion from one-tenth of a mile away, on a plot of land where his ascendant business and political life mix. Next to the capital’s high-crash Memorial Circle roundabout, Moody owns plots of land that house a campaign office and the Augusta location of his auto body repair business, Moody’s Collision Centers. If elected, Moody said he does not see a reason to sell off any of his increasingly valuable company shares or the underlying real estate, worth roughly $44.7 million to him and his wife, according to a Bangor Daily News review of public company and property records. State law would not require a governor Moody to relinquish his stake in such businesses, which Moody said expanded through the recession because of prudent savings and streamlined state permitting processes. Only Maine and Utah’s state ethics commissions do not have oversight of the executive branch, according to the National Conference of State Legislatures. Six states have no ethics commission. “In ’08, ’09 and ’10, when the economy crashed, we grew at a faster rate then than ever before. Why? Because we had the money to invest. Real estate prices were down, permitting was quick and streamlined. People were more business friendly at that time,” Moody said during a forum hosted by the Portland Regional Chamber of Commerce, referring to a period after Republicans took the Blaine House, along with majorities in the House and Senate, in 2011. 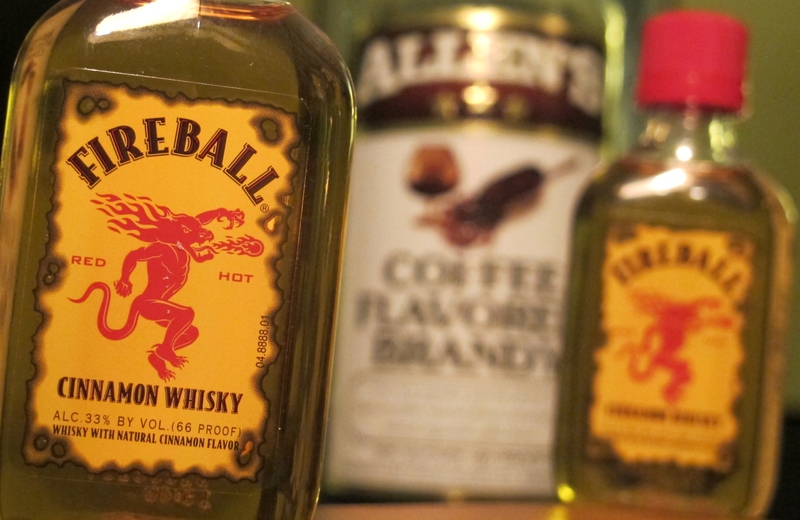 The company has added six locations since 2011, according to the company’s website. Accordingly, the value of Moody’s Collision Centers has continued to rise, jumping more than 21 percent last year, according to the latest audited valuation completed in August and filed with the U.S. Department of Labor. That’s after a roughly 8 percent rise in value in 2016. Moody’s stake in Moody’s Co-worker Owned Inc., which owns the network of auto body repair shops that do business as Moody’s Collision Centers, was worth $32.8 million last year. Employees of Moody’s Co-worker Owned hold 34 percent of the collision center business, through an employee stock ownership plan. But that company does not own most of the land or buildings where Moody’s Collision Centers operate. Moody and his wife own the real estate of nine of 11 Moody’s locations through a separate company, Real Estate Holdings LLC. Moody said he and his wife own all of that company. Property records show Real Estate Holdings owns real estate worth $13.4 million, most of which is the buildings or land beneath Moody’s Collision Centers. About $2.2 million of that property is held in parcels adjacent to those businesses, including land next to his Augusta campaign office, at 171 State St.
Moody’s Co-worker Owned Inc. itself owns about $1 million in real estate, including a former Hannaford lot near the company’s Gorham headquarters that Moody said is being redeveloped into a “business and innovation park” including biking and hiking trails. “It’s an investment,” Moody said. In an interview after the Portland forum, Moody said he does not see a reason to sell off his real-estate assets, noting that he has stepped back from management of Moody’s Collision Centers and that many of the leases for his properties are triple-net leases, meaning the tenant is responsible for maintenance, taxes and building insurance. Moody said that his brother Thad Moody has taken over as president of Moody’s, and his daughter Danielle Moody serves as the company’s treasurer, overseeing recent months of record company performance. Brent Littlefield, a Moody campaign strategist, said a financial disclosure form that Moody completed provides enough information to discern any potential conflicts of interest. Moody was the only of the four candidates to decline to provide his federal and state tax returns, or his annual income and state and federal taxes paid in recent years. “The whole purpose of the disclosure report was to provide extra insight, in what he thought was fairness to the other candidates, and to disclose whether the candidate has business interests with the state that could be a major conflict of interest,” Littlefield said. Beyond environmental permitting for businesses, Moody’s empire has other dealings with state regulators, according to property records. For example, in March, state environmental regulators cleared the way for Moody’s real estate company to buy a contaminated parcel on Main Street in Bangor, south of Interstate 395, owned by Emera Maine. BANGOR, MAINE -- Republican gubernatorial candidate Shawn Moody's company, Real Estate Holdings LLC, is in line to purchase this former Emera warehouse, according to DEP records. The building is currently listed for sale and a broker declined to comment on the status of the transaction. The property is currently listed by Epstein Commercial Realty. A broker for the agency declined to comment on whether Moody’s business is still the prospective buyer for the land, under the state’s Voluntary Response Action Program. The program shields buyers from state environmental enforcement actions if the applicants agree to voluntarily investigate and clean up properties according to a plan approved by the Maine Department of Environmental Protection. Regulators approved Moody’s company for such protections, as long as it abides by conditions including not moving soil off-site during redevelopment without the Department of Environmental Protection’s permission. Moody’s business with the state has grown, too. The state’s Open Checkbook site shows state agencies paid Moody’s Collision Centers and Shawn Moody $15,348 in the last fiscal year, ending June 30, 2018. In his disclosure, Moody reported collision repair contracts with the Maine State Police, Maine Department of Transportation and a county sheriff’s department. He did not state which one. Maine Focus editor Erin Rhoda contributed to this report.